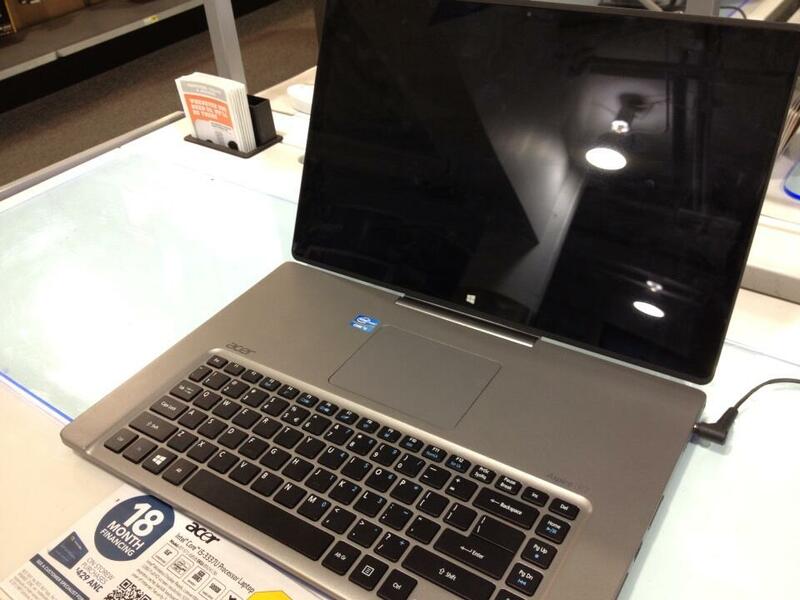 Acer Aspire R7, Why Acer Why??! The striking thing about this laptop is the fact that the touch pad is above the keyboard, which is unusual to say the least, usually the touch pad is below the keyboard. It is not entirely obvious why Acer would design it like this, makes moving the cursor around quite awkward I would think. Luckily Reddit delivers and links to the advert for the R7, and it is pretty damn good. Doesn’t actually justify the touch pad but the advert itself is very nice and almost convinced me to buy one. (Okay, that is a lie). If nothing else I would like a nice cappuccino right now. Check out the ad below, it is really a good advert that conveys a feeling of exclusivity, usability and humour without being cringe-worthy. I think the ad has potential to inspire purchase but it is not really weird enough to go viral. I am not sure who created the ad, I was not able to find it out but it is likely that it was Red Peak Group, who currently handles their brand. If I was a bit cynical, and I am, I would say that the Reddit post I previously linked to was posted by someone associated with Acer, in order to minimize the harm to the brand that a Reddit post like this could cause. It may be astroturfing but in my opinion it was relevant to the discussion and did add value to the users (that is, got to see a good advert) so not much harm done, if any. Overall, a good campaign that hopefully results in decent sales for Acer – innovative design is always good for the consumers in the long run and if no one took any risks the laptop/tablet space would be boring. The advert is nowhere close to the brilliant level of marketing that Old Spice managed with their recent campaigns. The Old Spice Guy commercials managed to turn a boring old brand for your grandfather into something cool, exclusive and perfectly targeted, but more on that some other time. Did you find the post interesting, controversial or dumb? Leave a comment below or send the author a tweet (@Chronoo).